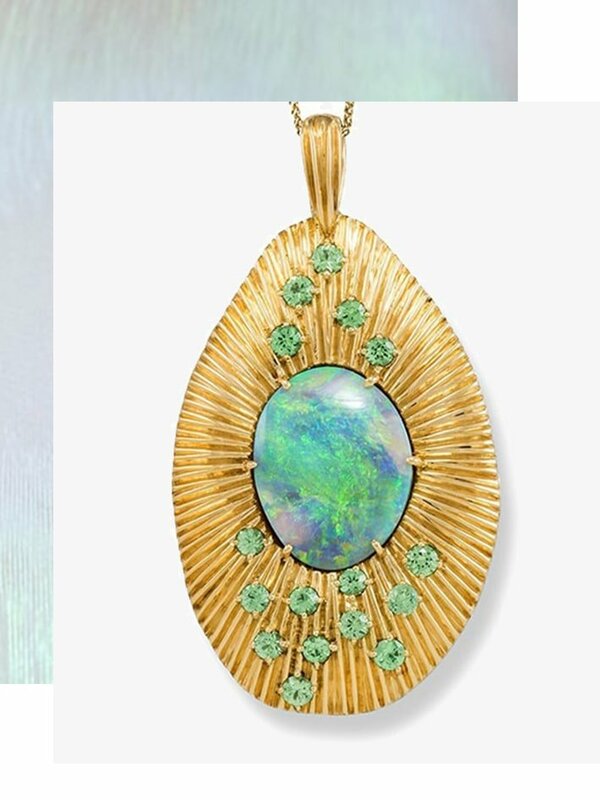 Those born in October have beautiful Opal as their birthstone. 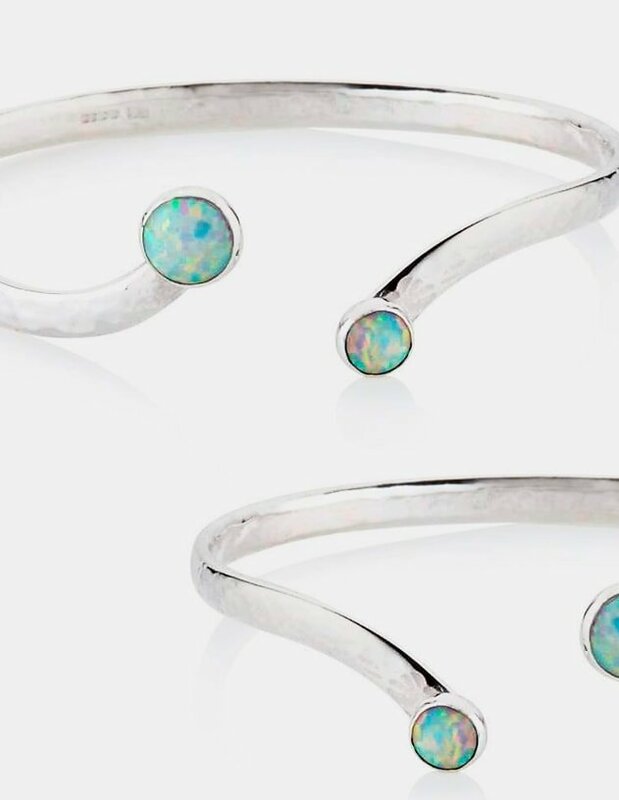 Each Opal is truly one of a kind - they are as unique as our individual fingerprints. Ranging in colour from cool to warm, there are many varieties of opals, including Mexican fire opals, rainbow-hued Australian Boulder opals and rich black opals. 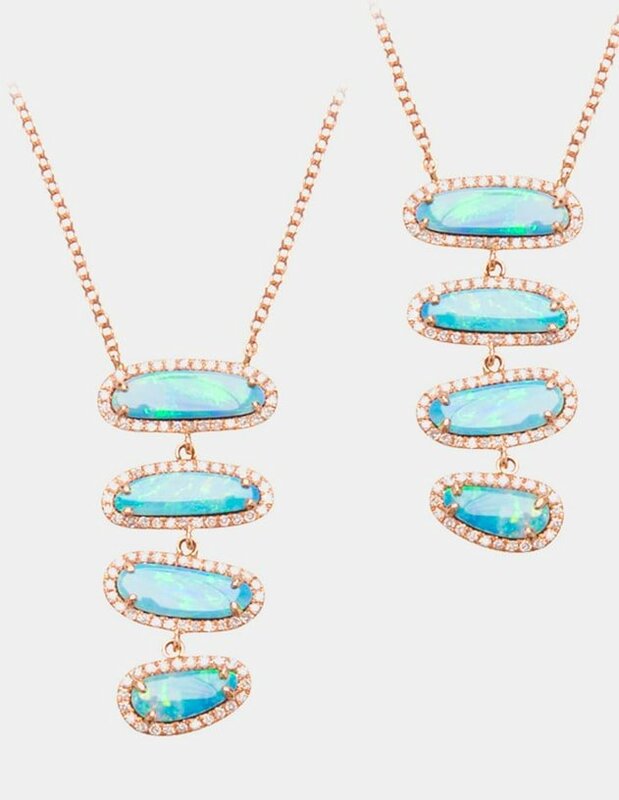 Opal pieces are the perfect birthday gift idea for your loved ones. The unique gemstone is renowned for its unusual display of flashing rainbow colours, referred to as ‘play-of-colour’. There are two main classes of opal: precious opals which displays play-of-colour, and common opals which do not. The colour play is caused by the diffraction of light through spheres, and unless all factors are perfect when the gem is formed, there will be no colour play. Many ancient cultures declare opals as magical. The Bedouins thought they contained lightning and fell from the sky during thunderstorms, whilst the Romans believed it was the most precious and powerful gemstone of all. An oval opal cabochon shows off the characteristic shimmer and play of colour which this popular gemstone is known for. 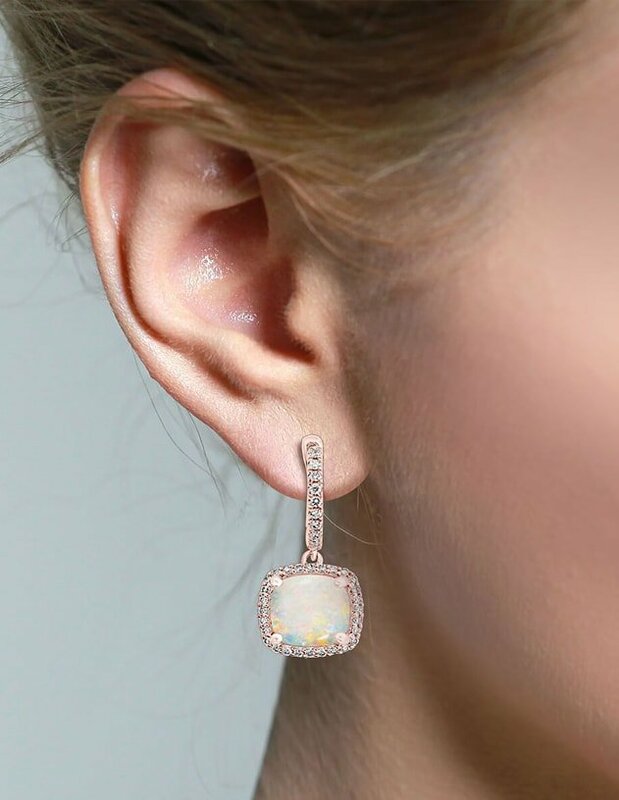 Designed intricately, the limelight is claimed by lightly triangular glossy opal stone in the center, which subsequently is neatly outlined by glaring diamonds carved in caramel frame as perfect stud earring. 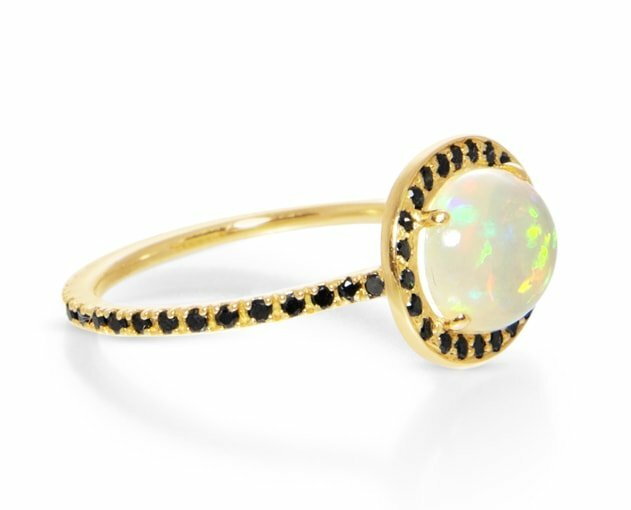 From black opals to Australian opals, each variety holds a different meaning. White opals are thought to increase competency and efficiency, whilst fire opals are seen as an energy amplifier which help facilitate change and support through times of emotional turmoil. Opals are a wonderful stone for releasing and letting go of the past. 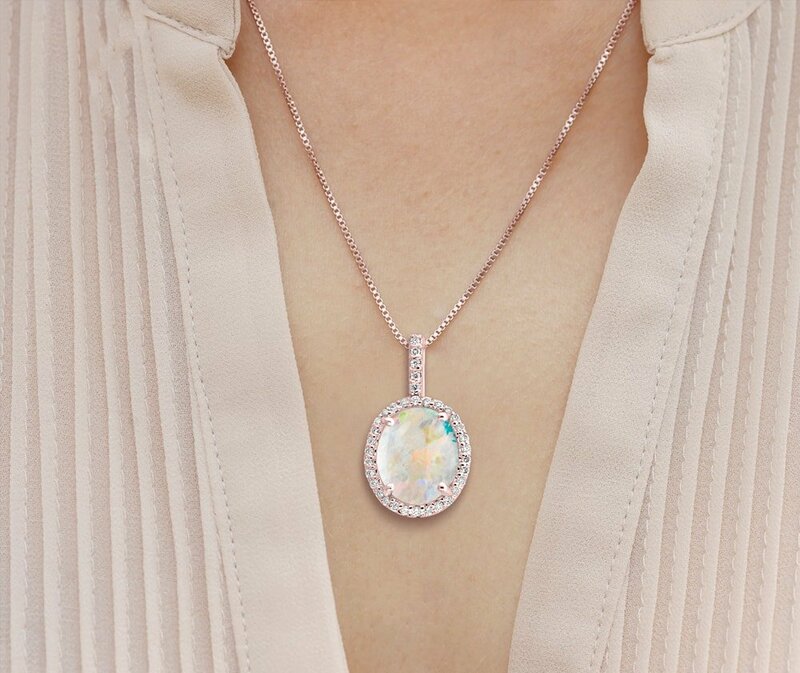 October is all about the Opals. 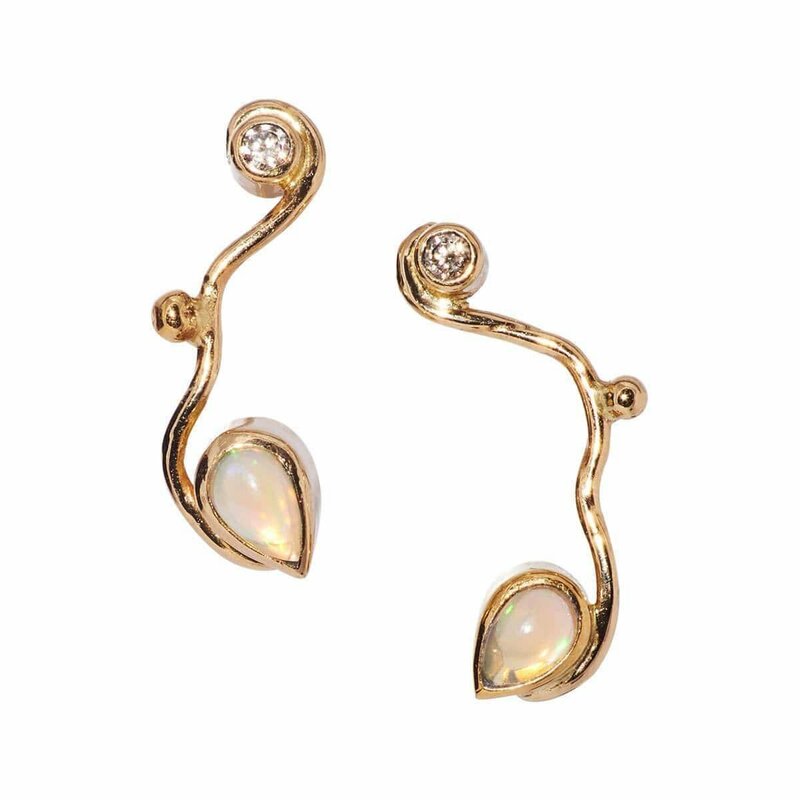 The name Opals or Opallios in Greek meaning “to see a change of colour”. It's impossible to deny the the beauty and brilliance of of these rare stones. They have long been at the center of fascination. Here are some of our October Picks. 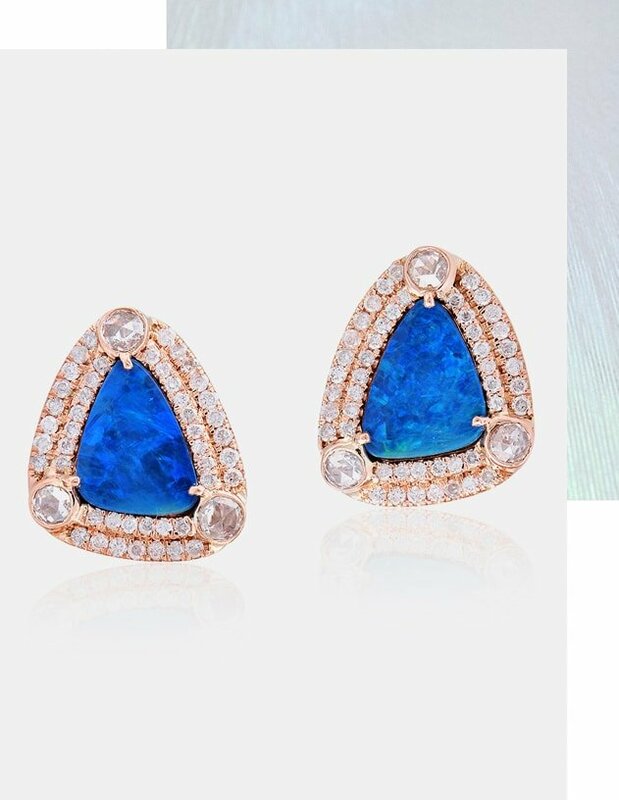 The Seafire Earrings With Champagne Diamond And Opal by Bergsoe. 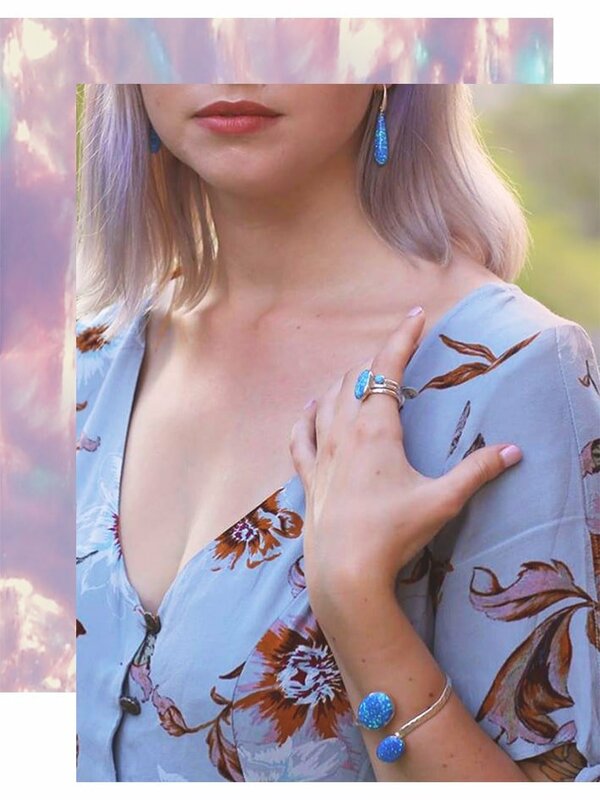 Her wearable yet affordable jewellery has been displayed in many galleries and museums across the world including Denmark, Berlin, Beijing, Stockholm and New York. 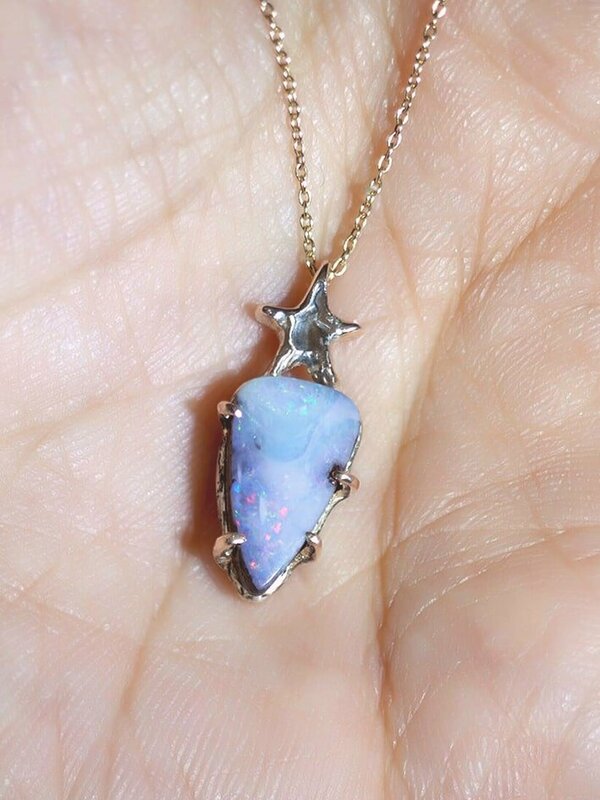 This necklace features a Boulder Opal, soft white and blues accented with a bright red fire, paired with a golden star. Match our star and crescent earrings to complete a look that reminds you of the galaxy. 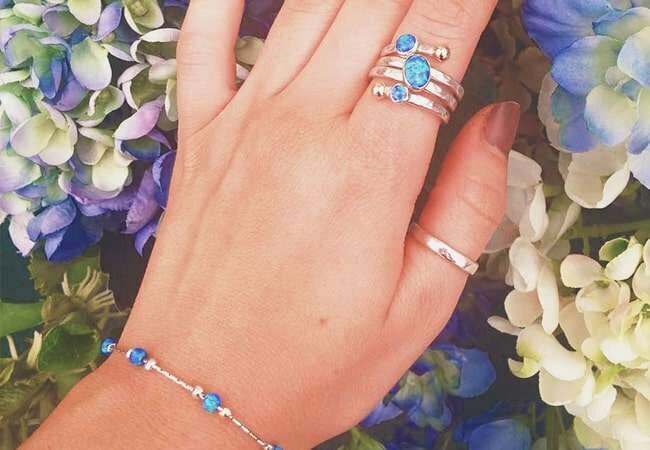 It’s almost time to put down those September Sapphires and opt for October Opal.